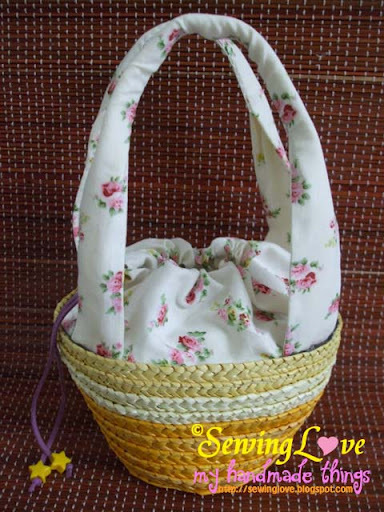 "Hand sew handles to a basket with lining. 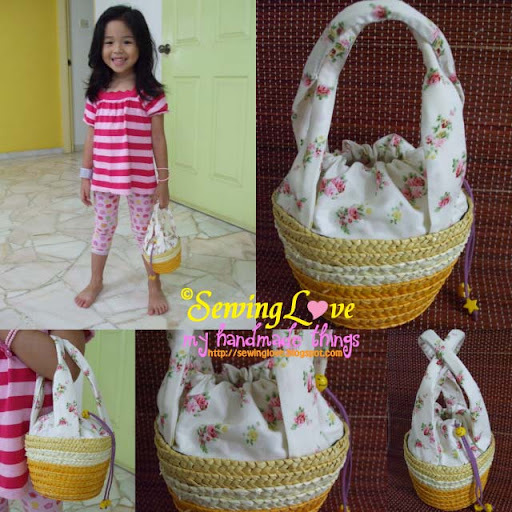 I also added a pull string top to the basket. Size is just nice for a little girl."